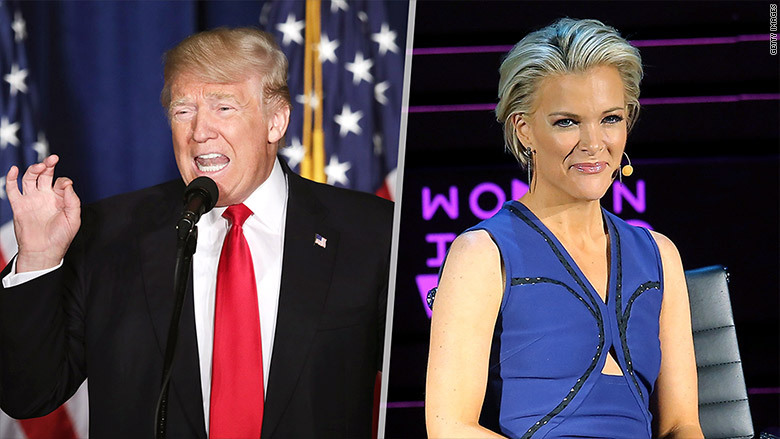 Donald Trump and Megyn Kelly both stand to benefit from Tuesday night's prime time reconciliation. Trump is making peace with a media power player he has relentlessly criticized since last summer, and Kelly is getting a guaranteed ratings boost from the presumptive GOP nominee. The interview is not a debate-style inquisition — it is a more personal look at Trump and his temperament. Kelly has been promoting it for more than a week, but Fox still says there are some surprises in store during the actual broadcast. And Trump says he'll be live-tweeting along with the show. The hour-long special, featuring a taped sit-down with Trump and several other interviews, will air at 8 p.m. Eastern on the Fox broadcast network. Kelly is usually seen at a later time, 9 p.m., in a very different format, a political talk show on Fox News. Tuesday's special — what she calls "more of a Barbara Walters offering" — could be a glimpse at her future. If the special is well-received, there will be more of them. So that's one of the reasons why the stakes are high for Kelly and Fox. Kelly has been candid about wanting to branch out beyond her nightly Fox News show. Her contract will expire a little more than a year from now, and executives at other networks are already interested in talking with her. At the moment, however, it's too early for any of that. Two sources close to Kelly said she'll do some "soul searching" later this year, but that the contract is not front of mind right now. She might wind up staying with Fox News. But if she leaves, it would be a milestone for 21st Century Fox's cable news channel, which is famous for grooming and retaining talent. Kelly has said that Oprah Winfrey and Charlie Rose are potential models for her career. Earlier this year, when Rose asked her to describe the perfect show, she said, "How about if we merge a little Charlie Rose, a little Oprah, and a little me all together? And we serve that up as an hour? Wouldn't you watch that?" Tuesday's special, "Megyn Kelly Presents," was partly created to show Kelly that there are numerous ways she can stay in the Fox fold. By all accounts, the idea for the special came from Fox News chairman Roger Ailes. lt is a throwback of sorts, to the days when Walters would have highly-anticipated interviews with celebrities and politicians. Two years ago this week, Walters semi-retired from ABC News, though she remains a behind-the-scenes producer and an occasional interviewer. Kelly and Ailes see an opening in the TV landscape for a Walters-like interviewer. 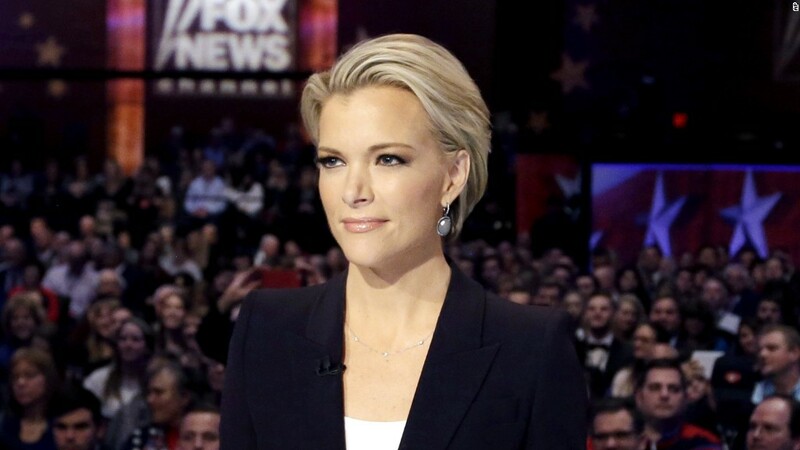 Ailes tapped Walters' longtime producing partner Bill Geddie to produce "Megyn Kelly Presents." For the time being, Tuesday night is the only episode. But "we think Megyn is really a big star and has huge potential in this form of television," Fox Television Group co-chair Gary Newman told reporters on Monday. "She's incredibly poised, charming and bright, and though we have no plans for more, it's certainly something that we're very interested in, as, I believe, Megyn and Fox News are, as well," Newman added. Trump is the headliner for Tuesday's special, and for good reason. Last August at the first GOP debate of the season he recoiled when Kelly, a co-moderator, brought up his history of misogynistic comments. The debate stage exchange triggered months of attacks by Trump, some of them harsh and highly personal. Kelly said little about his criticisms, attempting to stay above the fray. But on many occasions when Trump watched her Fox News show, he perceived an anti-Trump bias, causing him to tweet out even more criticisms of her. Ailes occasionally tried to broker a truce with Trump. At other points, the network blasted the candidate through highly unusual statements. In mid-March, for instance, Fox said, "Donald Trump's vitriolic attacks against Megyn Kelly and his extreme, sick obsession with her is beneath the dignity of a presidential candidate." In April, with her prime time special coming up, Kelly reached out to Trump directly, and he agreed to meet her at his Trump Tower office. Kelly said both she and Trump were trying to "turn a page." He agreed to an on-camera interview, and that's when they talked about the so-called feud for the first time. "It would have been the elephant in the room. So we had to get into it," she said on "Access Hollywood Live" on Tuesday. "And it worked out fine, because I think the interview overall is about temperament," she said. "So what happened between the two of us folds into that." Kelly has three other A-list guests on the special: Michael Douglas, Laverne Cox and Robert Shapiro. The Trump interview comprises about a third of the hour. Fox is trying to tamp down ratings expectations. Geddie told The New York Times that "Megyn said it right: We're looking for a single here." But Trump, for one, says he'll be tuning in. On Tuesday morning he tweeted, "I look forward to watching Megyn Kelly tonight, 8 PM ET." Apparently referring to the editing of the interview, he added, "It will be interesting to see how she treats me — I think she will be very fair."